As a freelance writer and blogger, I pretty much work out of home. That said, I still make and pack a zero waste lunch for myself, usually at night for the next day. Very rarely am I scrambling to make an impromptu lunch last minute. I tend to use fresh, locally grown produce to make my meals. My mom and I go every Saturday to the farmers market to stock up on food we mainly use for our lunches. We're salad addicts, so most of the produce we buy gets used to make that. We always buy everything plastic-free too, thanks to our handy tote bags and produce bags. We tend to make our salads the night before, that way my mom can wake up and take hers to work hassle free and I can eat mine whenever I get hungry. In order to keep my lunch as waste free as possible, I'm also very conscious about what I store it in and how I eat it. Here are my favorite zero waste lunch essentials. 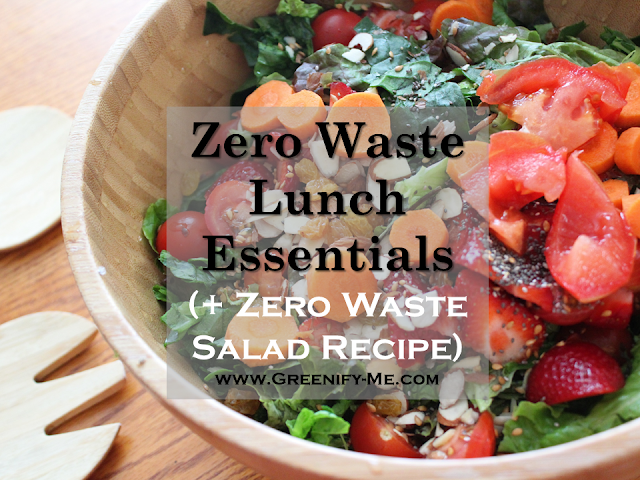 As a bonus, I've also included a zero waste salad recipe I have been loving lately. I hope you enjoy it as much as I do. Here's what I typically use to package and eat my lunch. I use my glassware the most (it's my favorite zero waste lunch container), but sometimes I'll use a metal tiffin instead. Glassware: Glassware is great because it's so versatile. I can freeze it or even microwave it (lid off of course) and not have to worry about it breaking. Its got these handy snap on lids that keep everything leak-proof and air-tight. Which is important for me, considering I like to add salad dressing, snap the lid on, and shake it up. If that lid came flying off, I'd have one heck of a mess to clean up! Thankfully, it stays on and I can shake away (I swear, it looks like I'm doing some sort of ritualistic dance when I do this) to evenly disperse my salad dressing. And yes, it tastes great afterwards. Metal tiffin: Sometimes I use a metal tiffin instead of glassware to house my salads. It all depends on what's available. The one we have I bought for my mom a few years ago and she absolutely loves it. Sometimes when she wants to use the glassware, we'll swap and I'll use the metal tiffin. What's cool about her metal tiffin is that it has 2 layers. One layer you can use to place a sandwich or snack in, the other can be used for a salad. The snap on aspect of this zero waste lunch container helps keep my lunch sealed tight and fresh until I open it up. Reusable utensils: Another thing I love to use is a reusable fork. Since I mainly eat salads, I don't typically need many other utensils at lunch time. Also, since I'm typically home when I eat lunch, I just grab a fork straight from my kitchen drawer when it's time to eat. We have a slew of stainless steel forks in my kitchen so it's more economical for me to just use that. If you're on the go, you can grab one from your kitchen too. Just wrap it in a reusable napkin to transport it to work and place it in your zero waste lunch bag. When you're done using it, wash it off at the sink - easy peasy. If you don't like the weight a stainless steel utensil adds to your commute, try investing in bamboo travel utensils (this one comes with a handy carrying case). Bamboo can be composted at the end of its life. That said, don't expect it to go breaking on you any time soon: Bamboo utensils are incredibly durable, despite their light weight, travel-friendly appearance. Heck, they're even dishwasher safe. 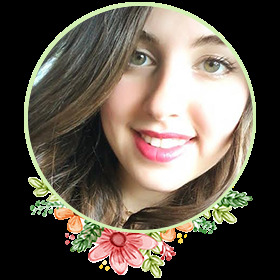 Reusable napkin: The best part about reusable napkins is they save you a lot of money. You buy them once, you can reuse them over and over again. Disposable napkins, not so much. 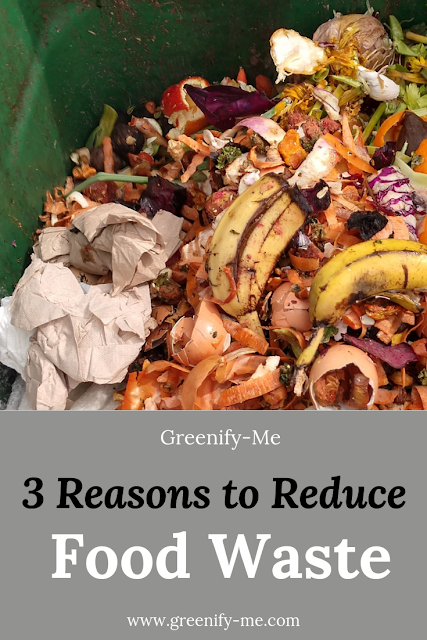 Plus, if you're using disposable napkins from home, chances are you're spending money renewing that supply every month, which can get costly. I recommend switching to reusable napkins, preferably ones made from organic cotton. I have two I use all the time. I basically use one the entire week and wash it at the end of the week. Yes, it will get stains on it, but just because it's stained does not mean it's dirty. Also, if you do still use paper napkins, make sure you add those to the compost, as they are compostable. Save any paper napkins you use at work, bring them home, and add them to your compost pail. I also do this whenever bathrooms only offer paper wipes to dry your hands with (save it, bring it home, compost it). Just a bonus tip. Reusable water bottle: If I'm out for lunch, I always keep my reusable water bottle handy. It's great because it keeps my water cold for hours and I never have to worry about exposing my water to plastic. If I wanted to use it to hold other drinks (like iced tea or hot tea), I could do that too. However, since I'm a water guzzler, I tend to keep it simple and stick to H20. To purify my water, I use Miyabi Charcoal sticks (plastic-free, and they fit easily into a narrow mouth container). After I activate the bamboo charcoal through boiling them in hot water, I just plop them into my water bottle and let it sit for an hour. My reward? Crisp, clean and cold water. Plus, the Miyabi Charcoal sticks can be added to your garden or composted at the end of its life, so nothing goes to waste. That said, if I eat home (which I typically do for lunch), I usually just drink from my reusable stainless steel cup, which I have a habit of filling with water non-stop throughout the day. It's always full to the brim by my bedside while I work. My dad always says he's never seen someone drink so much water. I always counter that and say "hey, at least it's not soda." He can't help but agree. Note: Since I eat lunch home often, I don't tend to use a lunch bag. If you commute to work though, chances are you'll need one. A good zero waste lunch bag option is an organic cotton lunch bag. Lightweight, easy to travel with, and fully compostable at the end of its life! As far as the actual food is concerned, my lunches consist of salad and soup the most. My mom and I go shopping at the farmers market to get the ingredients for our salad every Saturday (she's a salad lover too). Usually, we just make a big bowl of salad and split it - half for her, half for me. Here's how we get food for our lunch plastic-free, and my favorite salad recipe as of late. Our typical grocery list: This varies from season to season and largely depends on what's available. However, by late spring (AKA now) into early summer we tend to get these items most: Romaine lettuce, arugula, spinach, asparagus, tomatoes (cherry + beafsteak), carrots, strawberries and apples. Come mid to late summer, the apples get swapped out for peaches and we add raspberries, blueberries, blackberries and raspberries to our list. Mind you, we live in Staten Island, New York, so what's seasonal here may vary to what's seasonal near you. Buying the produce plastic-free: First, we get up at about 9 AM on Saturday to head to our local farmer's market. We typically set a budget of $60 for our produce hauls and typically spend no more than $40 of it. It almost always lasts us the entire week too. We buy all the produce for our lunches package-free using our handy produce bags (these are the ones I use). Then we just plop them into our reusable tote bags. The produce bags are great because we can use them over and over again, plus they're machine washable. Most of the tote bags we use were either gifted to us, bought or found hiding in the depths of my room. We take anywhere from 5 to 10 produce bags with us to the market, and at 2 to 3 tote bags with us for good measure. Preparing the food: When we get home from the market, we usually store everything straight into the fridge, unless we're hungry and want a salad ASAP. On Sunday night, we'll make a salad for lunch on Monday. On Monday night, we make a salad for Tuesday, so on and so forth. We only wash and cut food when we're right about to make the salad, otherwise we leave it in the fridge as is, sometimes still in the produce bags we bought them in. Lately, this has been my favorite salad. It's made using fresh, in-season produce straight from my farmers market. It also has some healthy toppings (bought from bulk food stores) and a delicious, but simple, salad dressing. * Buy this fresh from the farmers market using produce bags. * Buy the lemon plastic-free at the grocery store (or farmers market, if they're seasonal near you) using a produce bag. The olive oil and white vinegar can be bought in reusable glass containers, or in bulk. The salt and pepper can also be bought in bulk. * Buy this from bulk bins at a health food store. Begin by washing off all your produce and chopping it up. 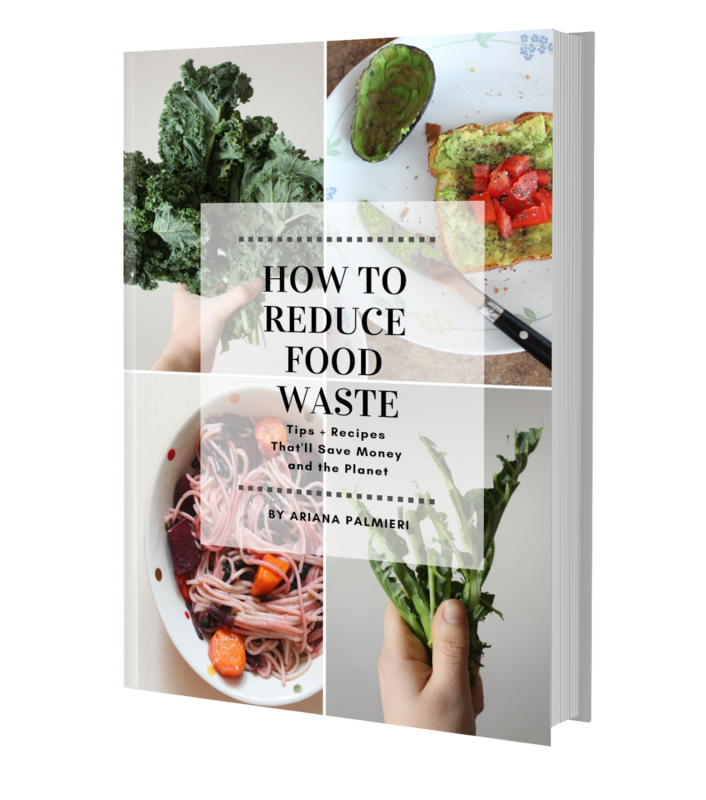 Compost any food scraps you're left with, or save them to make zero waste vegetable broth. To avoid having a soggy salad, make sure to pat down the greens, or use a salad spinner, if you already have one. Add all your chopped produce to a big bowl. Add any additional toppings you'd like. Mix together using wooden salad servers. When that's done, make the lemon vinaigrette dressing by cutting the lemon in half and squeezing its juice into a glass bottle (I use an old glass salad dressing container). Add the olive oil and vinegar to the container too. Add salt and pepper to taste. Put the cap on and mix it up by giving it a good shake. Pour it into your salad bowl and mix it all up with your salad servers. Serve and enjoy! This recipe makes approximately 1 to 2 servings. You can also pack it away in your glassware, metal tiffin or mason jar and take it with you to work the next day. Would you give this delicious, seasonal salad a try? I'm getting hungry just looking at it. What are your favorite zero waste lunch essentials?